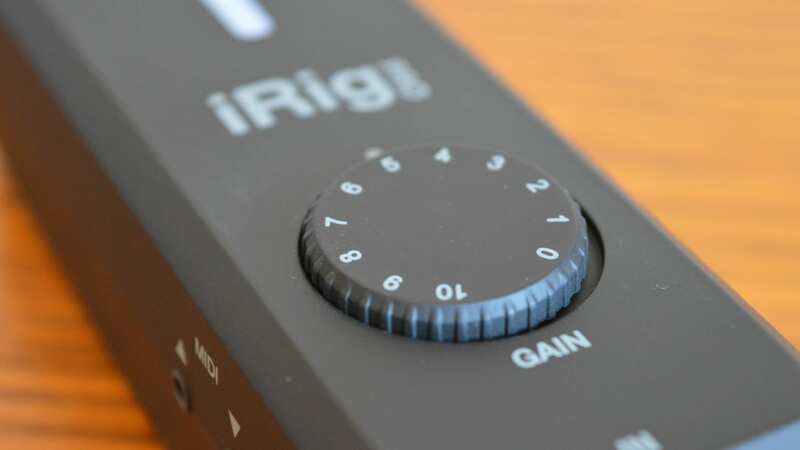 IK Multimedia has been building a ton of great recording interfaces for mobile users of late, and the company is back yet again with another — this one called the IK Multimedia iRig Pro I/O. The device is an ultra-portable interface aimed at working with Android, iOS, PC, and OS X — but on top of that it seriously steps up the build quality over previous IK Multimedia devices, like the previously reviewed iRig Pro Duo. The device is obviously more capable than many of its predecessors — but is it worth buying? We put it to the test to find out. 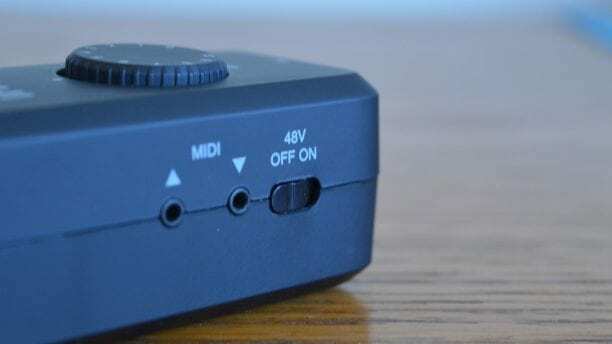 The first thing you’ll notice about the IK Multimedia iRig Pro I/O is its design, and it’s obviously a step above previous IK Multimedia products. The device is built out of plastic, to be sure, but it’s clear than it’s strong and solidly built, and features a slightly rubberized feel, even if it’s not actually made out of rubber. On the front of the device, you’ll find two LED lights, and different colors on those lights signify different things. If the top light is red, for example, that means that phantom power is on. It can also turn blue for MIDI in and green for MIDI out signals. The bottom light turns colors for gain volume — green, orange, and red, with red signaling that your signal is clipping and you should turn down the gain knob. That gain knob, as you might have noticed, is featured towards the bottom of the device, and it’s super easy to use and adjust. It feels pretty solidly implemented too — we never felt like it would come off, or even like we could pull it off without significant effort. On the bottom of the device is where you’ll find the XLR/1/4″ combo port, which is great for versatility. On the left, you’ll find the MIDI in and out ports, as well as the switch to turn phantom power on and off. On the right is the headphone jack and headphone volume control. And, on the top is the digital output used to connect to your computer or phone. In the box, apart from the device itself, you’ll find a USB cable and two MIDI breakout cables, since the device doesn’t have full-sized MIDI ports. You’ll also find batteries, which will largely be used to power phantom power during mobile recording. You can also power the device through USB, which makes things pretty easy. Last but not least, it you power the device through the DC input, it will actually charge your phone as you go — so you won’t have to worry about running out of battery. Unfortunately, that power source doesn’t come in the box — you’ll have to buy it separately. 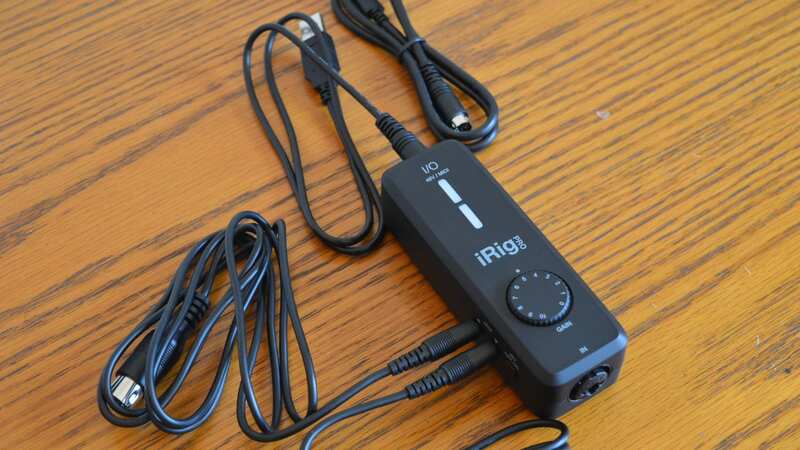 Using the IK Multimedia iRig Pro I/O is pretty easy, and we didn’t run into too many issues. Perhaps the main problem we experienced was in using it with Pro Tools, which recognized the interface, but wasn’t able to find the input, despite the Mac itself being able to recognize it. Routing through the Pro Tools Aggregate I/O fixed that, and we were good to go. The device was also very easy to use on mobile, especially on iOS. That’s good news for musicians looking to take their recordings on the road and those on tour, and it makes for a great way to quickly record ideas too. So how does the interface sound? Pretty good. 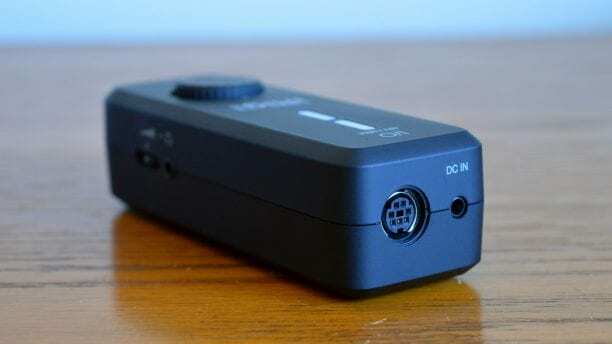 It’s capable of recording audio at 24-bit and 96kHz, which is fine for most uses — especially for those dipping their toes into the recording world and taking recording on the road. In our tests, the preamp was able to produce nice and clear recordings, which is really all you need when you’re recording on mobile. On top of that, latency was quite low, even when recording at the highest settings, which is very helpful. MIDI is another nice addition, and we found that it worked exactly as you would expect — plus the addition of MIDI out allows you to control your MIDI devices straight from your phone, which is a cool idea. Could this signal a new generation of phone-based DJs? 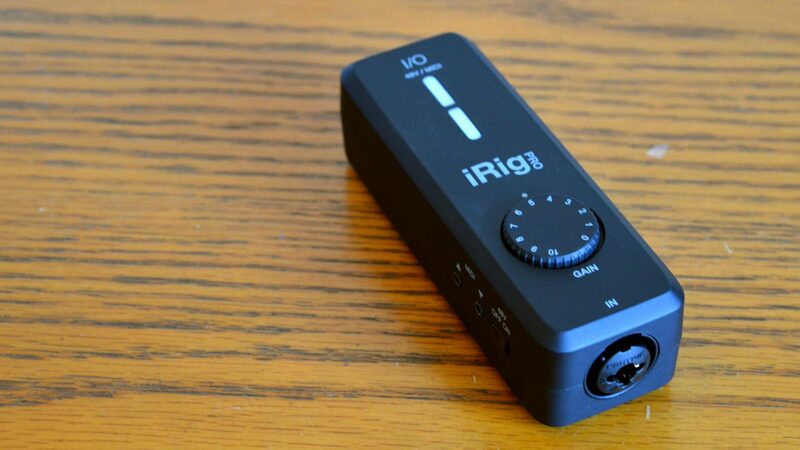 The IK Multimedia iRig I/O is really a home run, but you might think it’s a little on the expensive side. According to IK Multimedia, however, that price is justified given that the interface comes with download codes for a whopping $550-worth of software, including AmpliTube for iOS, AmpliTube 4 for Mac/PC, and SampleTank SE. Even without that software, we found the interface to be an excellent addition to anyone looking to record on the go. Sure, it won’t necessarily work for those that need more than one input — but that doesn’t mean it’s not worth looking into. On top of that, it’s really quite versatile, and well-built, so it shouldn’t break quickly. Check out the links below to get the IK Multimedia iRig Pro I/O for yourself.